"It is better to have a line drawn somewhere in the penumbra between darkness and light, than to remain in uncertainty." Penumbra (noun, astronomy): a space of partial illumination (as in an eclipse) between the perfect shadow on all sides and the full light. "Penumbra" can thus be used to describe any "gray area" where things aren't all black and white. Penumbra is an apt name for a starship of the Eclipse class (a Long-range Reconnaissance Cruiser) sent to gather intelligence on a potentially devastating enemy with which we have had no contact or information for over a decade. It is also an apt name for the mission in which the crew of such a starship may be asked to risk their lives to hinder such a potential enemy's operations with little or no support from the Federation. We will be operating in that "gray area" where things aren't all black and white, aboard the USS Penumbra. The Penumbra is an experimental Starfleet vessel intended to perform reconnaissance missions deep in the Gamma Quadrant in the area known as the Aslan Heirate and beyond into the frontier region claimed by the Kyrathian Swarm. While the United Federation of Planets has not (yet) declared war on the Kyrathian Swarm, the Aslan Heirate has. 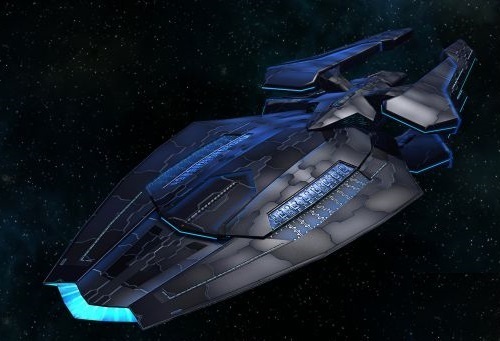 While officially remaining out of their war, the Federation has agreed to lend assistance to our allies in the deep Gamma Quadrant by utilizing the advanced reconnaissance capabilities of the Penumbra to scout the area, identifying potential threats, tracking the movements of the Swarm, and gauging their capabilities. This information will be provided to the Aslans and transmitted back to the Federation as well. Due to the extreme distance from Starfleet-controlled territories, reports will be transmitted in secure packets utilizing advanced encryption through various Aslan and other allied vessels. The Penumbra will be many days or even weeks out of any real-time communication with Starfleet Command and the Federation Council. We're on our own out here. In support of the Federation's allies, the Aslan Heirate, the Penumbra may be tasked with disrupting or delaying the advancement or expansion of the Kyrathian Swarm by employing various hit and run missions on selected targets. This website is maintained by Capt. Zak Taylor, and is the property of Captain Taylor and the other crew of the USS Penumbra. This is a non-profit fan-fiction website. "Star Trek" and associated names and graphics are (C) & (r) of Paramount or CBS Studios, Inc. Absolutely no copyright or trademark infringement is intended or implied.